Have you lost the key to your storage and you’re locked yourself out of your storage unit? – We offer storage lockout service. Do you need to return your storage unit today to U-Haul, and you have no time waiting for locksmith? – We Can Help! We can get you back inside your storage in no time! 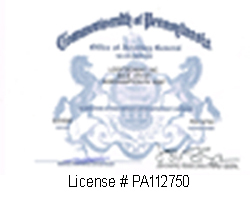 If you have reached this page, chances are that you have been locked out previously, or you are locked out right now, and you’re looking for a storage lockout service provided in Lehigh Valley, Pennsylvania. If so, you have found the best solution for your problem, because LockTech24/7 Locksmiths can help. 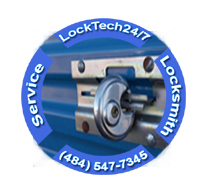 LockTech24/7 offers 24/7 emergency lockout services with a 20 min response time! People misplace their keys each day, especially in moving house / re-locating moments. LockTech24/7 responsibility is to get them back to their daily routine, as soon as possible. You never have to worry anymore, program our phone number in your phone, for any future emergency service. In any kind of scenario, whether your keys has been stolen, lost or misplaced, we can help. Before you’re calling a locksmith to open your UHAUL storage unit, please go to the storage office to tell them that you lost your key, and you need a locksmith to break-in. When you get the permission of the UHAUL office, you may call a local locksmith. * We can’t open storage unit without permission of the storage office. * We can’t open storage unit after the storage hours – Service must be provided within the storage office working hours. Whether you have on your storage unit door; residential lock, pad lock, or over the head commercial garage door lock, we can open it for you.